So I had to do a visa run. I expect I’ll have to do several more too. Still, it’s a great way to see a bit more of Dubai, Sharjah, Hatta & the Hajar Mountains. Even if it’s from the inside of a beat-up minivan with terrible air conditioning. Sharjah is flat. 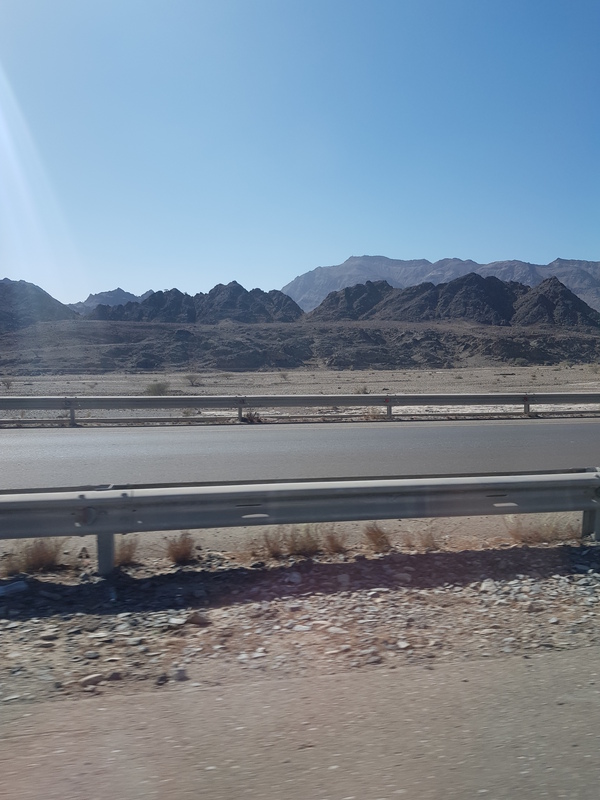 The Hajar Mountains are not. Remote, desolate, brutal – just some of the words I’d use to describe the Hajar Mountains. I expected to see two Hobbits running across the mountainside, however, I just saw goats. A lot of goats. Not that I mind goats, something I enjoy about a new country is the new wildlife, and the new warning signs that go with it! In the UK the oddest red triangles I have seen have been for ducks and frogs, (horses and elderly people go without saying) yet, so far out here I’ve seen one for camels and one for goats. Also, they’re the wrong way up – the same way as a stop sign. Does that mean you have to stop for them? Who knows. 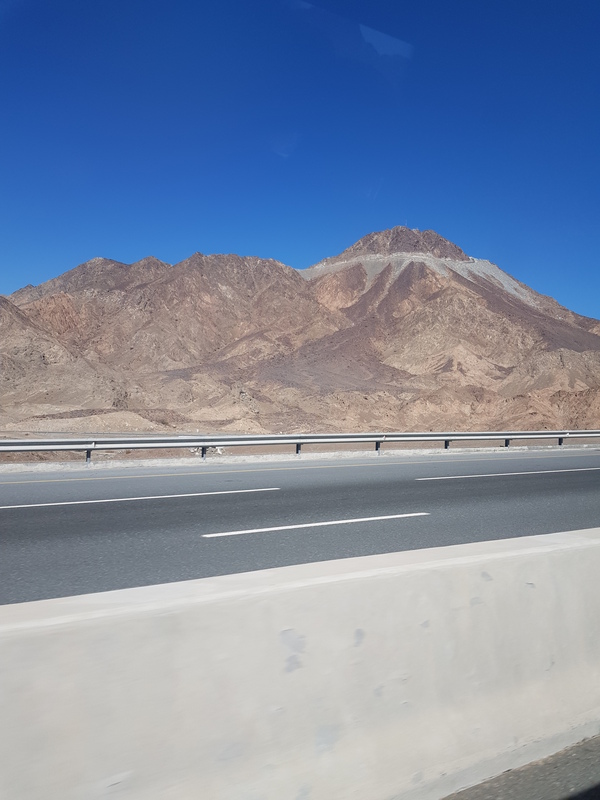 The Hajar Mountains (direct translation Rocky Mountains – natch!) would be beautiful if it weren’t for the rubbish. Abandoned houses, rubbish, donkeys… it’s awful. Having come from a country where everyone has at least some level of distaste for littering, it’s like a 1950’s Americana picnic out here. Shake your blanket off and leave the rubbish behind. It’s against the law to litter out here – like pretty much everything else. Not that anybody cares. They don’t even care about fines. They either leave the country or pay them off when the Sheikh announces a discount. It’s really sad. There’s no need for it either – it’s not like there aren’t any litter bins around. They even recycle (in places). Hatta itself is on a plateau amongst the mountains. Unlike Dubai (which I would class as clotted cream yellow) it is a sun-bleached salmon pink. No building seems to rise above one storey, and most places look empty. You have to forgive it though, it’s pretty remote, and most people visiting are passing through to get their visa renewed and heading back. They could make the most of this though, by lining the main thoroughfare with shops selling refreshments. Maybe I wasn’t looking hard enough. There is a mall though! Well… it has 3 storeys and more than one shop. It’s not a mall by Dubai standards though. Somewhere in Hatta are the Hatta Pools. These are actually in Oman, so you have to pay to cross the border, and Roxy wouldn’t be able to come with us. 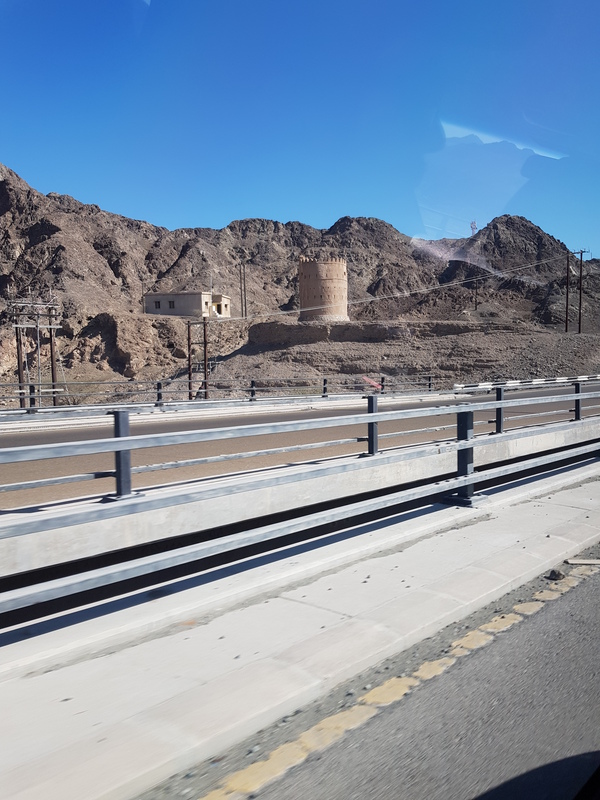 I’m really struggling with the idea that there are many beautiful places we can visit – the Hatta Pools, Musandam, Dubai Marina and more, yet Roxy won’t be able to come with us. We can’t even take her to Al Qudra Lakes anymore. Desert trips only from now on! It seems alien to me that so many dogs are banned from so many places. That’s the nature of different cultures though! I’ve got a whole post dedicated to dogs in Dubai coming soon. Maybe once we’ve experienced the heat! Next PostGet your motor running… head out on the highway!